Elijah was found with his 3 snow white siblings and came into DCH care, very undernourished and flea-bitten. This elegant green-eyed boy is still a bit reserved but his curiosity usually gets the better of him. 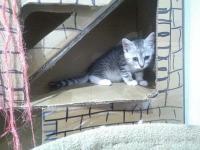 Eli is litter trained and very happy being an Inside Only kitten. Eli also has a medium length coat, which is quite thick and plush, and he does like a back rub! 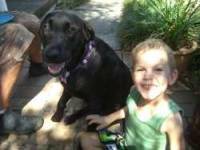 This lovely boy has a beautiful personality and is becoming more confident each day. Elijah is very happy to sit or lie beside you for a pat, and rewards you with a lovely purr! Elijah is now at PETSTOCK PENRITH (02 4761 0536), if you would like to come and meet him! 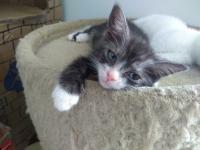 A sweet little boy, Denzel came into care with his 3 siblings and will make a great addition to a cat loving family. He is an ultra affectionate little boy who comforts/grooms the kittens in care at this foster home. He is fostered in a home with another 10 kittens and he mothers them all. He is microchipped and vaccinated, and his adoption fee includes de-sexing. If you are interested in meeting Denzel, or his foster mates in their Hoxton Park foster home, please contact his carer, Karen. 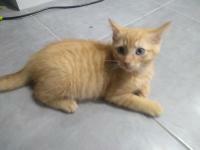 Cheetos is an orange tabby confident, playful, affectionate male kitten. He was rescued from Campbelltown pound with another 8 kittens from several litters. Cheetos will be microchipped, vaccinated and vet checked prior to adoption. His adoption fee includes de-sexing. Do come and visit Cheetos (and his furry friends) at his temporary home in Hoxton Park. Nachos is a friendly, playful, smart, marmalade coloured short haired boy who came into care along with another 8 kittens who were on death row due to lack of space at the holding facility. 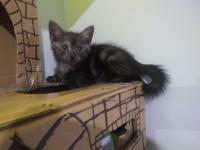 Hunter is a sweet, tiny girl who came into care along with 8 other babies from the pound. she's friendly, playful and smoochy. She is smokey charcoal coloured with white socks. This little kitten was orphaned with her 3 siblings and brought into DCH care when only 3-4 weeks old! All kittens will be ready to be adopted once they reach 1kg approx mid March. They will be microchipped, and have had their 1st vaccination. Desexing is also covered by the adoption fee. 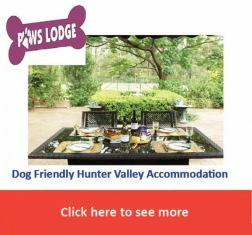 If you would like to arrange a meet and greet please contact the respective foster carer. Jack and Jill were two young cats who were surrendered to the pound when they were less than a year old. Poor Jill was pregnant, so they both came into DCH care last year in September. Now that Jack has been adopted, and Jill’s kittens are all grown up and don’t need mum, it’s time for this lovely young lady to find her own forever home! Jill is a beautiful, elegant lady! She has a silky, soft coat which will require regular grooming to keep it free from matting and knots. 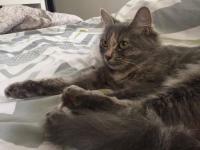 While her upbringing is a mystery, Jill has been in foster care around other cats and dogs and has been exposed to new noises, smells and experiences as part of her desensitisation. Initially when meeting her new foster carer, and other foster cats, she is a frightened little thing, but once she is on your lap, she turns into a snuggle-buddy who will roll around and expose her tummy, and eagerly receives neck scratches and pats. Jill hasn’t had the best start to life (being a teenage mum is a challenge for anyone!) but will consistent love and patience, she will flourish and give her human family all the love that she can muster. 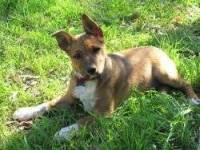 If you would like to arrange to meet Jill in her Randwick foster home, please contact her career. We are sure she would absolutely love some cuddles from her potential new family. Chester came into foster care with his siblings (Sebastian, Rupert and Romald) at about 5 weeks old. Chester is a confident little kitten, happily greeting the start of a new day with a romp and a cuddle. Chester is happy to play alone or with his fellow housemates, be it kitten or older cat and can be a cheeky monkey when he is in a mood. 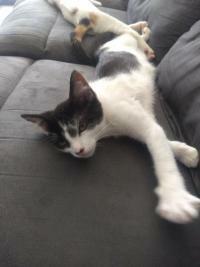 Chester is fully litter trained and has been fostered along side dogs and other cats, and is comfortable with both. Chester's adoption includes desexing, microchipping and vaccinations while in care and he will be up to date with his worm and flea treatments when adopted. Chester is available for adoption now and you can meet Chester at Petstock Marsden Park.